The Singapore Academic Award was introduced in 2016 thanks to the generosity of alumni of the College, who have donated the money for the award. It is a one-off prize of $20,000 Singaporean Dollars for a first-year undergraduate student. If the competition is very high, the Committee may consider to give two awards. All Singaporean students, who are offered a place to come to St John's College to pursue an undergraduate degree at the subject of their preference, are eligible for this award. The eligible candidates are notified by the College after the offers are made and they are invited to apply. The shortlisting is performed on the basis of academic excellence and the interviews of the shortlisted candidates take place in Singapore. The closing date for applications is Sunday 17th February 2019. The interviews will take place in Singapore in the week commencing 25th February; the exact date will be confirmed in due course. For enquiries about the Singapore Academic Award or the selection procedure, please contact the Scholarship Administrator. One of St John’s most famous alumni, William Wilberforce, leading abolitionist of the slave trade, had strong links with Singapore. 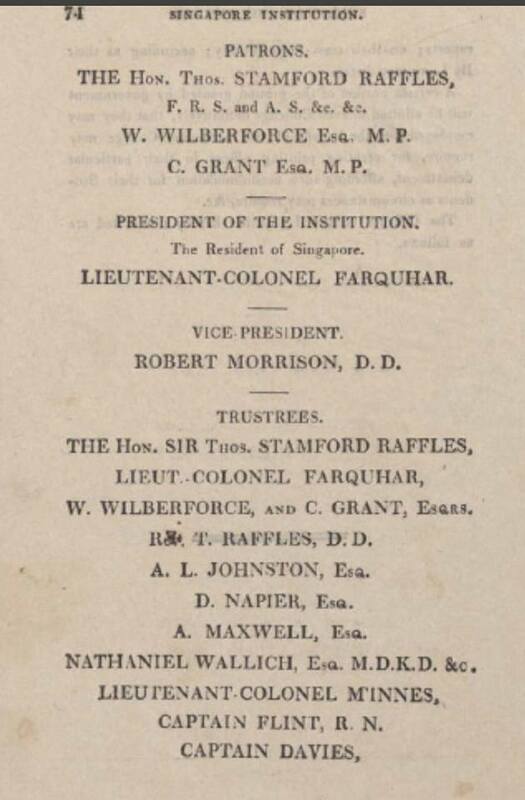 He was on the board of trustees and was a Patron of the Raffles Institution, now the Raffles Institution (for boys) and the Raffles Girls’ School, established by the founder of modern Singapore Sir Thomas Stanford Raffles. Raffles and Wilberforce regularly wrote to one another, and they both worked against the slave trade and sought to increase access to education. They lived as neighbours in Highwood Hill in London. Raffles’ widow, Sophia Hull, is buried at the church that Wilberforce built in Mill Hill. Their letters are part of the Raffles Collection at the British Library.